56% of the total material value came from materials manufactured within 500 miles of the project site. 82% of the total furniture and furnishings value came from furniture and furnishings REUSED from the original space. 41% of the interior non-structural components were retained as part of the renovation. Certified LEED-CI Gold in July 2009, Zhuang Lab is a 3,500 square foot Chemistry Lab, which occupies a portion of both the ground and basement floors in the Naito Laboratory Building at 12 Oxford Street in Cambridge, MA. The Naito Laboratory building, a four-story structure originally constructed in 2000, is one of four buildings that together house all 278,000 sq. 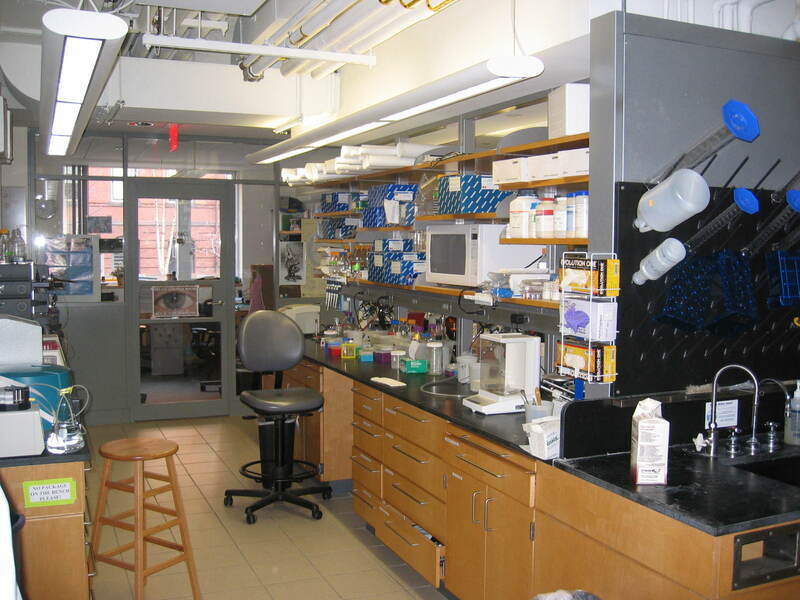 ft of laboratories for Harvard’s Department of Chemistry and Chemical Biology, and is located within the Cabot Science Complex. The project was a complete renovation of an existing lab space previously occupied by a different Professor to accommodate the specific needs of Professor Zhuang and her research. The renovated lab now contains Professor Zhuang’s office; a secretary‘s office; work spaces for 12 lab researchers and students; a small kitchenette; four laser labs; a cold room; a dark room; and general lab space. The project team, led by the Harvard Faculty of Arts and Sciences, Department of Chemistry and Chemical Biology, was committed to sustainability throughout the project, which looked to the Harvard University Green Building Guidelines and the LEED-CI rating system, to guide the selection of materials as well as the mechanical, electrical and plumbing (MEP) systems for the project.